To help forget the election results, I bring to you a fun post! 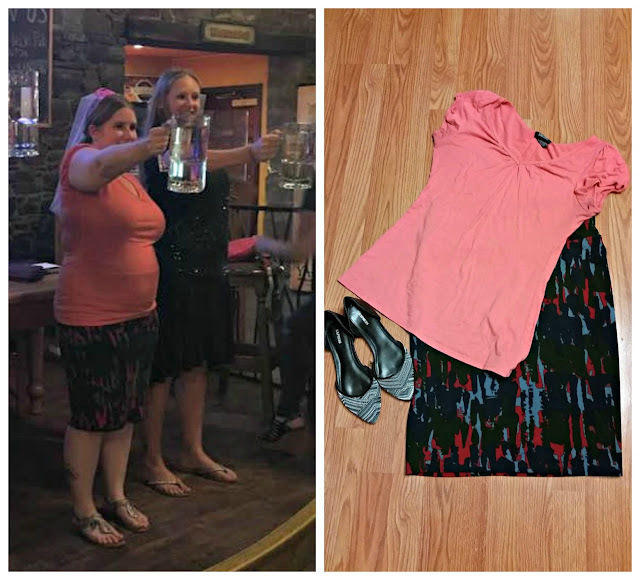 I get to look back on all of my outfits through my wedding "season". 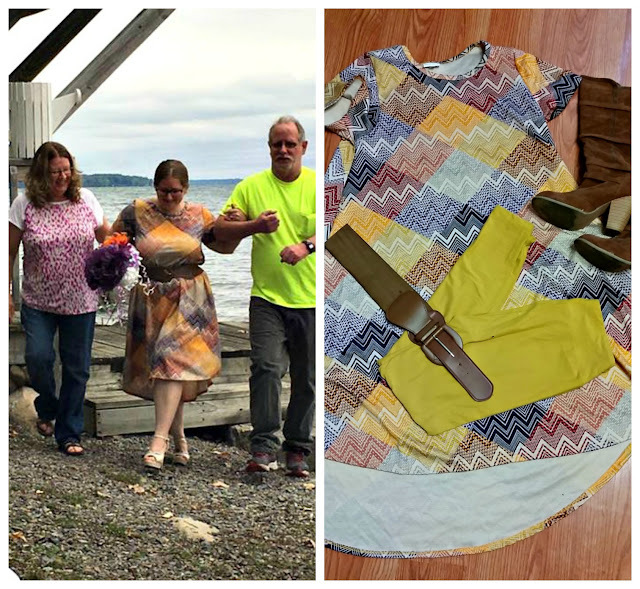 I didn't realize until the other day that I wore LulaRoe for all of the events leading up to my big day. 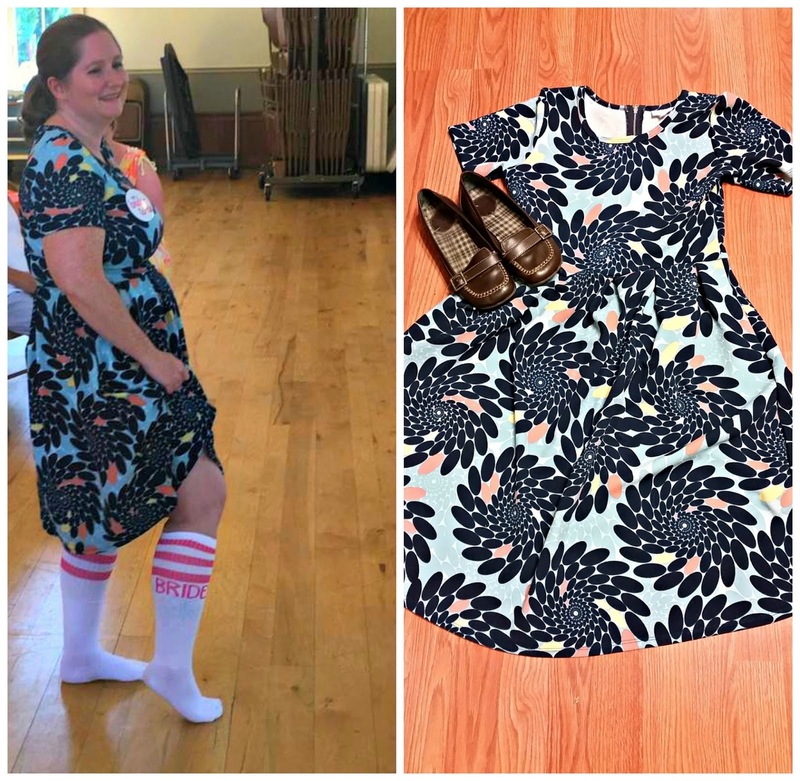 Today I am showing you how versatile LulaRoe is and how they have many pieces that are not only stylish, but also very comfortable. I jumped on the LulaRoe wagon back in July and I currently own more than I want to admit. Everything I own, I wear regularly, so I don't feel guilty for my purchases. For my bridal shower I wore my Amelia. A comfy dress with a zipper in the back. You can also turn this dress around and wear with the zipper in the front. I paired this with bride socks.. Nailed it! For my rehearsal I word this Fall patterned Carly dress. Its a high low design that feels like you're wearing pajamas, while looking stylish. Now wearing those 4 inch heals were NOT like wearing my PJ's but hey, it was for the wedding right? I felt very comfortable through all of my events. Are you a fan of LulaRoe? What are your favorite pieces?